The lull after the boom leading to a barren year! 6th July 2005. Woodhead (New): I finally got it done! Woodhead started it all in 1988. 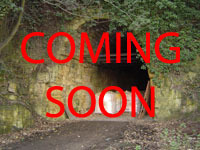 We visited the derelict but substantantially intact Dunford Bridge station a few times and looked at the tunnel (we used to go up to the airshaft on top to drop things down!) Then, suddenly, I had a job and tunnels got put on the back-burner (John walked Woodhead in those early days). I also visited Butternab and Netherton. I forget my camera but took a few poor quality snaps on my phone. 21st - 22nd May 2005. Liverpool (2) & Stockport: What can you say about Liverpool?! It's difficult to walk around town without falling down a tunnel or an airshaft! 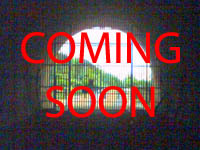 John and I visited 24 closed railway tunnels in an evening and a day! We walked 20 and 17 were new for me... And there's plenty left! 3rd January 2005. 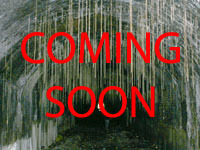 Sheffield - 'City of Lost Tunnels': Dale took us to a tunnel in Houghton (picture) which we didn't know about. Steve's research turned up a total of 12 definite closed tunnels in and around the city, plus another 4 possibles and an opened out tunnel near Tinsley.